New year is just around and we already have plenty of technologies that entertained us, educated us and helped us to step forward smartly into 2017. We read about 3 of the technologies that made 2016 a year from the innovative era in the previous article. Let’s talk about the other technologies that are pacing far and fast. A computer program that has been enabled to chat using AI and natural language interface defines a chatbot. A bot is nothing but AI based chat option. With the growing curiosity as to what a chatbot can do, well, let me tell you, it can nearly answer all your queries (don’t ask a chatbot how to cook something, you might end up with your kitchen on fire). Chatbots are a very viable solution to your traditional customer care process. Instead of making your customer call your company and wait for the representative to respond their query why not implement chatbot with app development instead? 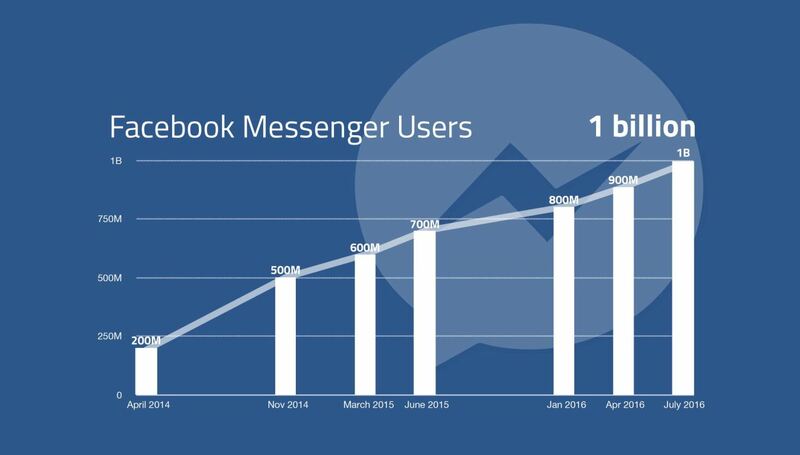 Messenger is getting popular – Facebook messenger has achieved over 1 Billion active users. A substantial amount of audience is moving towards messenger. A company will not think twice to implement a messenger chatbot for customer service. 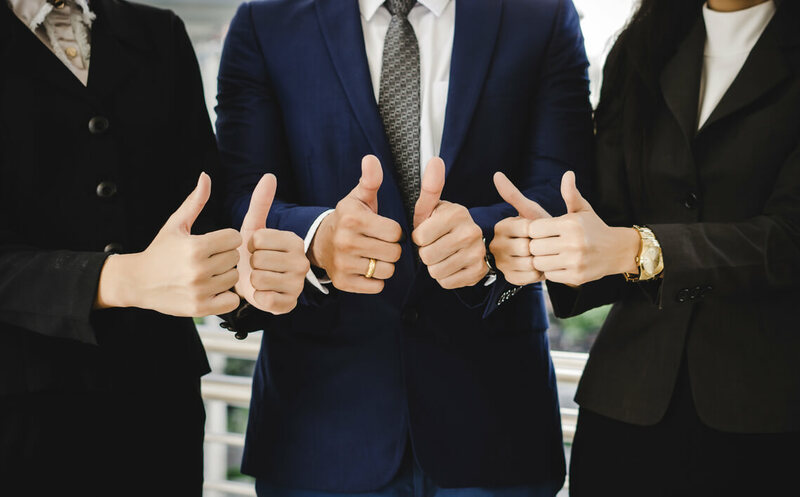 User engagement is a key for better reviews – A company would never like to read a negative feedback from its customers. User engagement is an essential element to alleviate the downfall. A chatbot’s ability to respond in real-time however, enhances the user experience leaving no space for a red mark on a company’s marksheet. 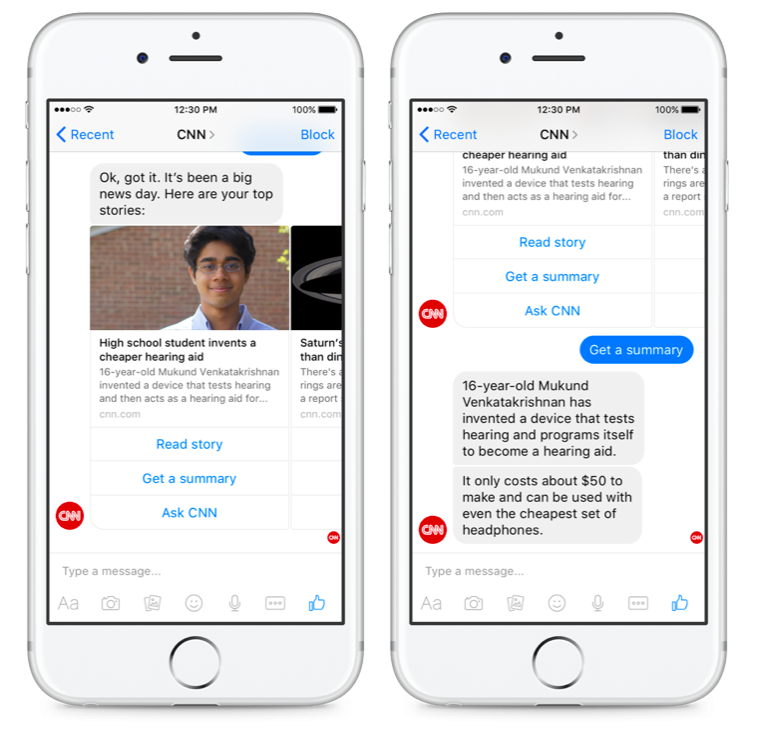 Cable News Network, popularly known as CNN has its very own messenger chatbot to spread the news. 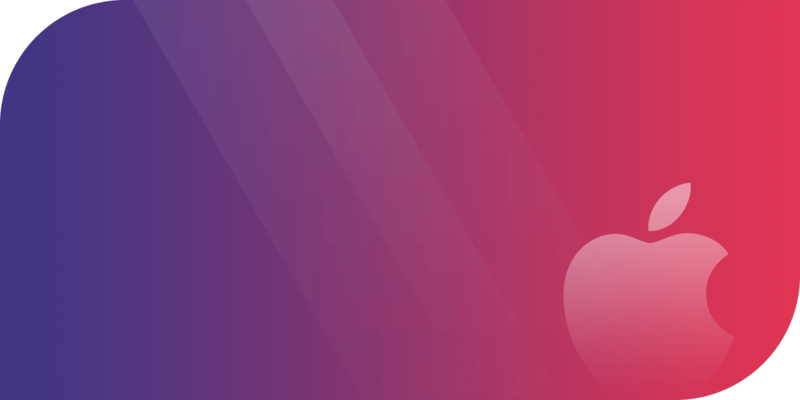 “All the things you love to do are more expressive, more dynamic and more fun than ever with iOS 10” – framed by Apple Inc. iOS 10 has been the source of joy for iPhone users and developers. It not only enhances its built-in features but with the ‘extensions’ it allows the third party app to integrate as well. 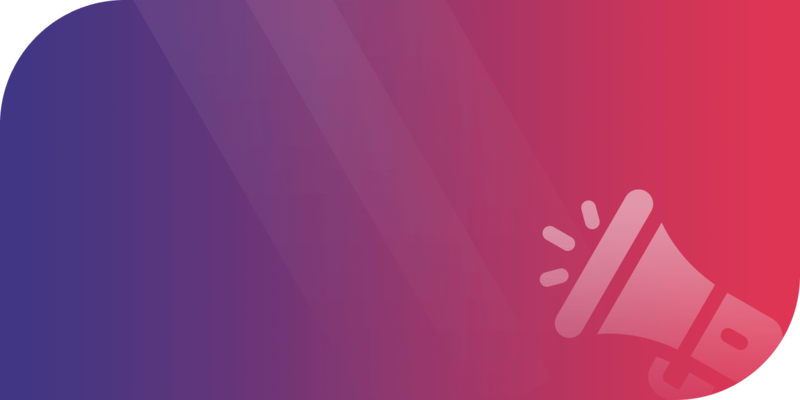 Extensions are small software programs that can modify and enhance the functionality of an app or a website – explained by Chrome. Let’s find out how these extensions help. 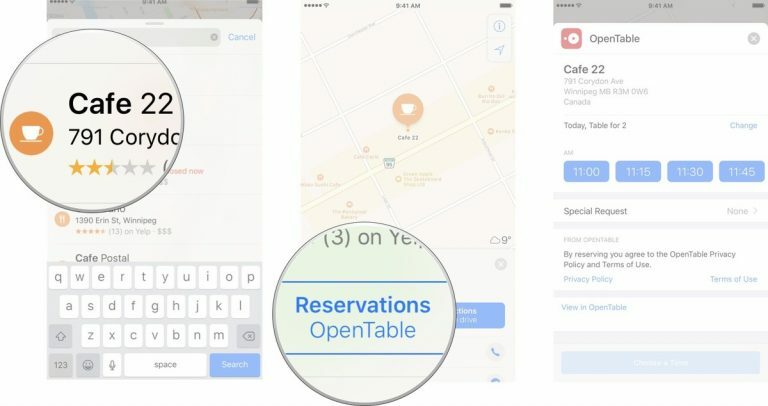 Maps Extension – With apps like OpenTable and Yelp, extensions can be directly switched on to leverage the functionality of Apple Maps for a restaurant mobile app. Along with the hospitality industry, third-party apps for booking a cab moreover, can be benefited. 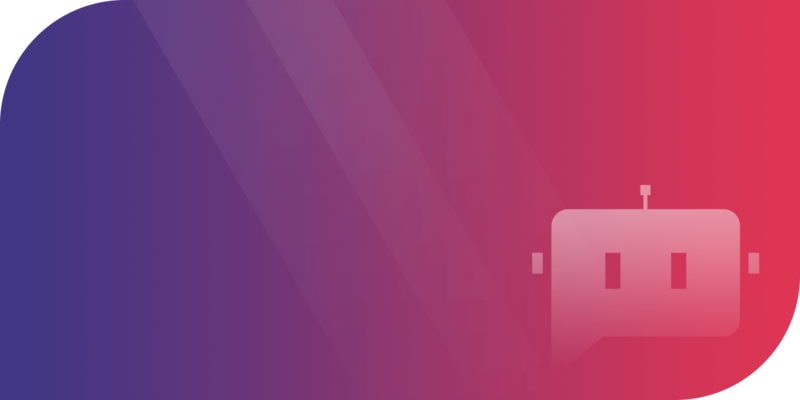 Message Extensions -With enhancement in the iMessage app, you can enable non-native mobile app’s features into your messages. Moreover, messaging is made more interactive by sharing pictures with emoticons and comments. Android Nougat brought multitasking to a new level for android phone users. you can switch between apps or better, run two apps side-by-side. On a smartphone, two mobile apps can run side-by-side or one-above-the-other in a split-screen mode. 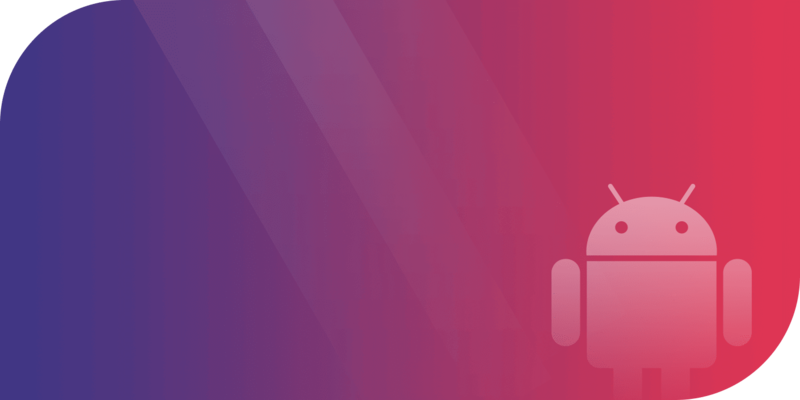 On TV, android apps can use picture-in-picture mode to continue video playback while users are interacting with another app. However, mobile apps like Instagram and Snapchat won’t work in multi-screen mode. With numerous social media apps overflowing the pool, there always is a need for an upgrade in the features to survive the competition. 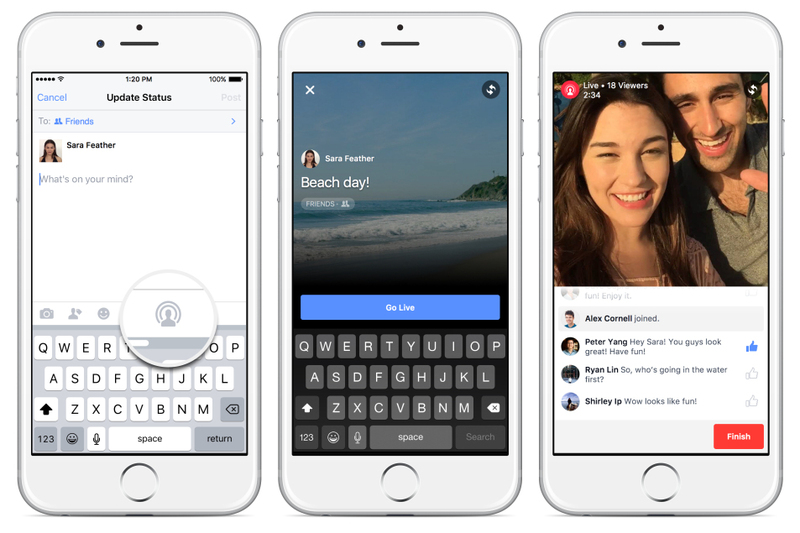 A feature called ‘live streaming’ is now a must have feature for most of the social media apps and websites.Gravitating with this new feature are our very famous social media apps like Facebook, Instagram and Snapchat. WhatsApp is in talks to leverage the same in the near future. General Motors was the first automotive brand to stream live video of the launch of Chevy Volt EV on Facebook. Also. the energy giant G.E., also leverages this feature to live stream videos showcasing the science behind their innovative products. A business can utilize this feature to ask their customer for live feedback or recommendation. A brand can also run live campaigns for the launch of their new products, services of offerings like General Motors. These were just a few of the top technology trends which have seen a paradigm shift in 2016. With lots of new arrivals in technology segment in 2016, there are a lot more to stock into the inventory for 2017. LetsNurture will be happy to help you with your technology requirements. Please feel free to contact us at info@letsnurture.com. « Why to opt for Magento web development for e-Commerce website?